Introduced in 2011, the ref. 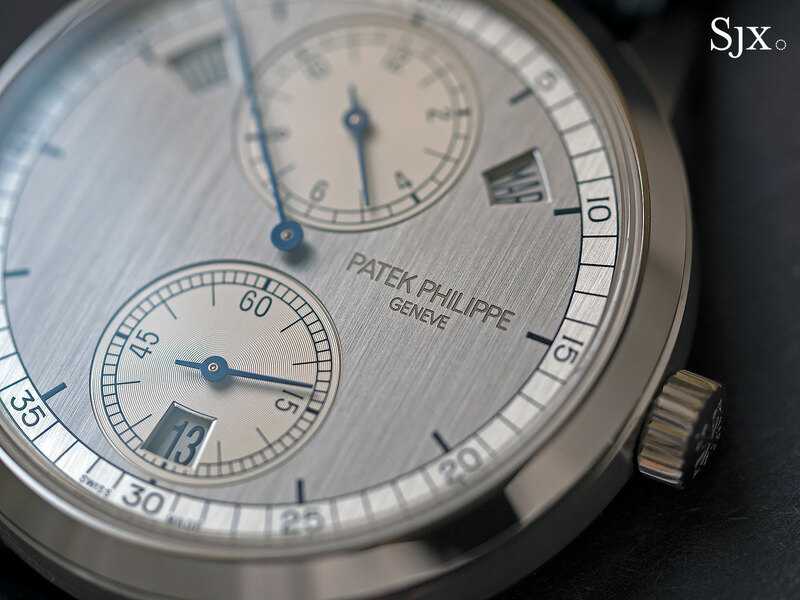 5235G has been in the Patek Philippe catalogue for almost eight years, yet it’s not quite as familiar as other watches that are nearing a decade old. In fact, the ref. 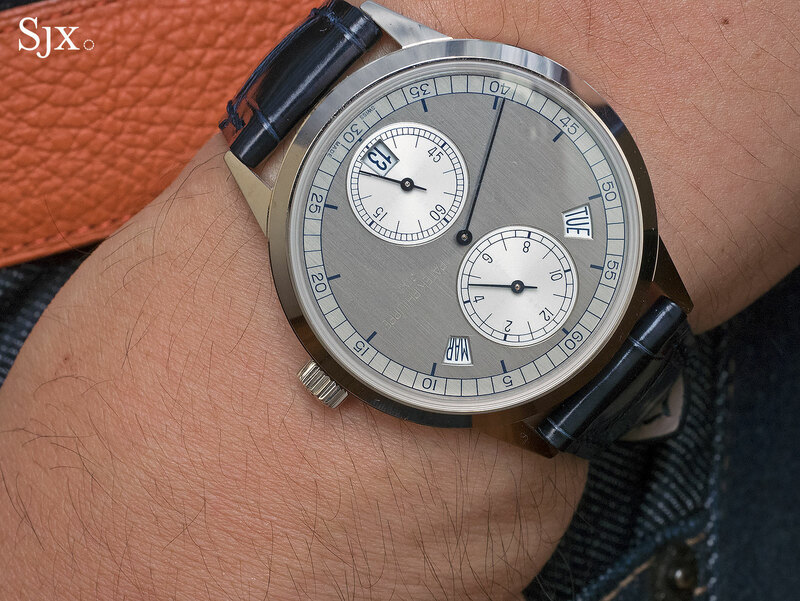 5235G regulator is genuinely interesting, and arguably the most under appreciated watch in the current line-up. 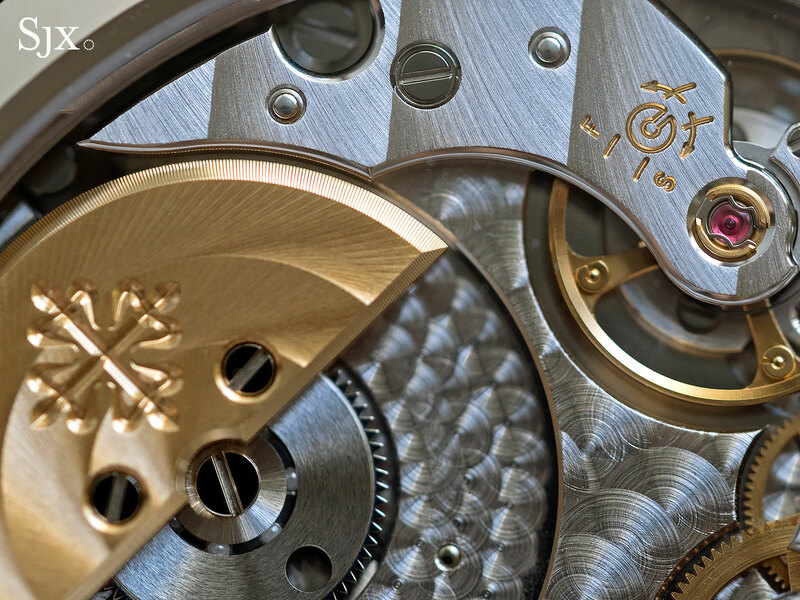 An annual calendar with a regulator-style dial – as well as a completely new movement – the ref. 5235G was announced with much fanfare in mid 2011. And then nothing much happened. In fact, production was delayed enough that the watches only hit the market in meaningful numbers in 2014. 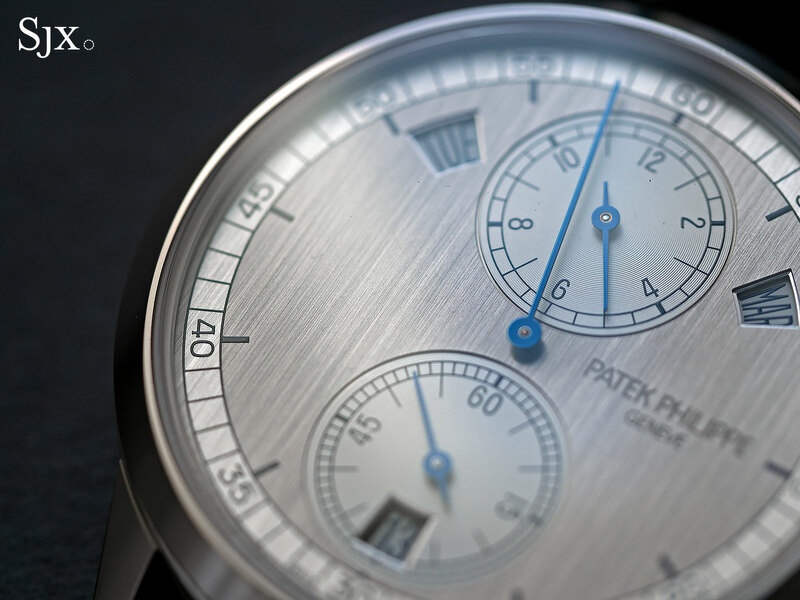 Deliveries of the model continued to be erratic, uneven enough that the second autocomplete suggestion on Google for the model is “Patek 5235G discontinued”. Early on, so few of the model were delivered that they briefly sold for above retail, with several selling for over US$60,000 at auction in 2014 and 2015. The model even became the subject of rumours that it is a “application piece”, meaning special dispensation is required to buy now. Now production of the reference appears to have settled into a comfortable rhythm and ample numbers are available everywhere. On the secondary or grey market they go for less than a steel Nautilus ref. 5711/1A, which is a substantial injustice. It is unfortunate that the qualities of the ref. 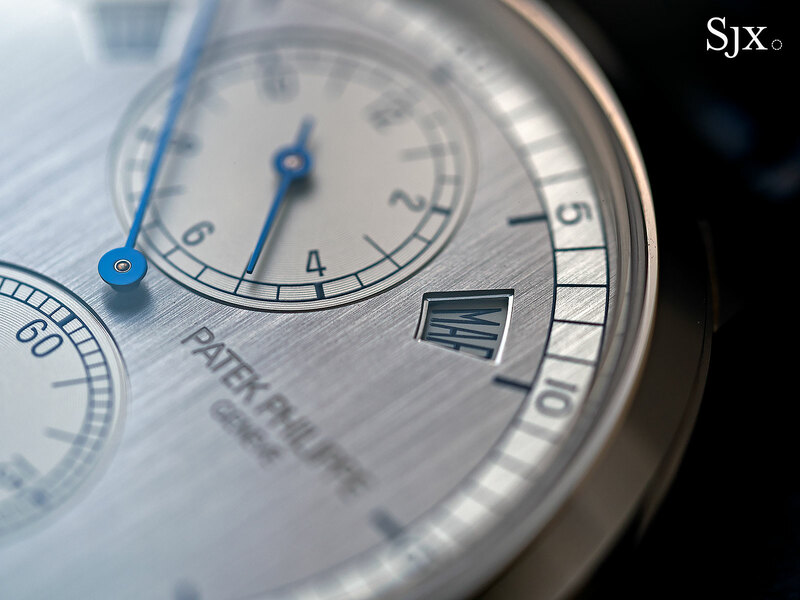 5235G are relatively subtle, which is perhaps why its significant intrinsic qualities are overlooked (though Patek Philippe president Thierry Stern has indicated in several conversations it’s one of his favourite models). Visually the ref. 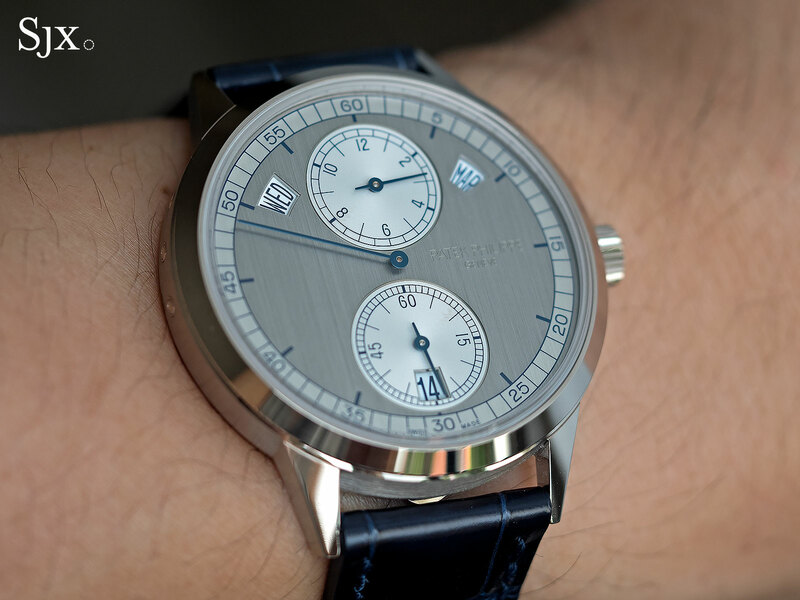 5235G is obviously different, being the only model with a regulator-style display in the Patek Philippe catalogue. The look is rigorously symmetrical and legible, with the same, slightly retro serif font for all the numerals. The twin windows for the day and month are slightly asymmetric, but almost imperceptibly so, the diverging position a consequence of the calendar mechanism. But it’s the finer details that really set it apart. To say that the ref. 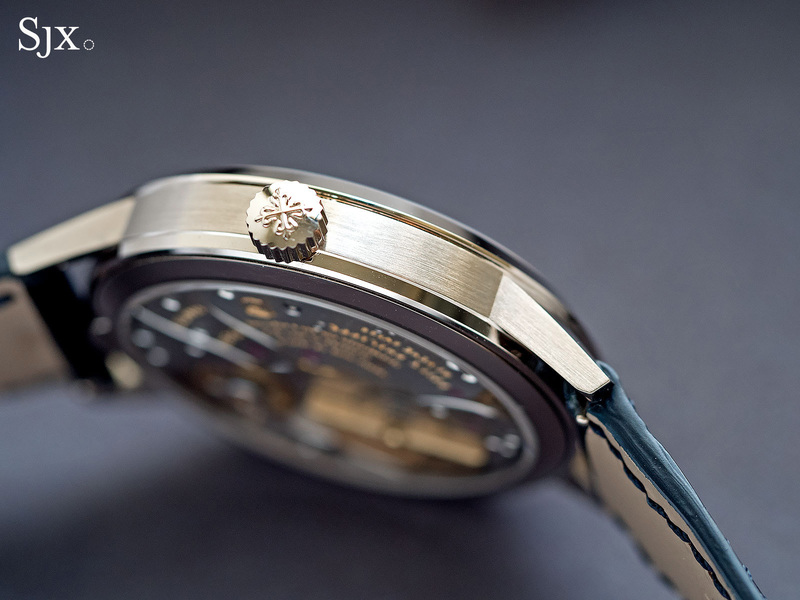 5235G is an agglomeration of qualities and features found in no other Patek Philippe reference is an apt description. 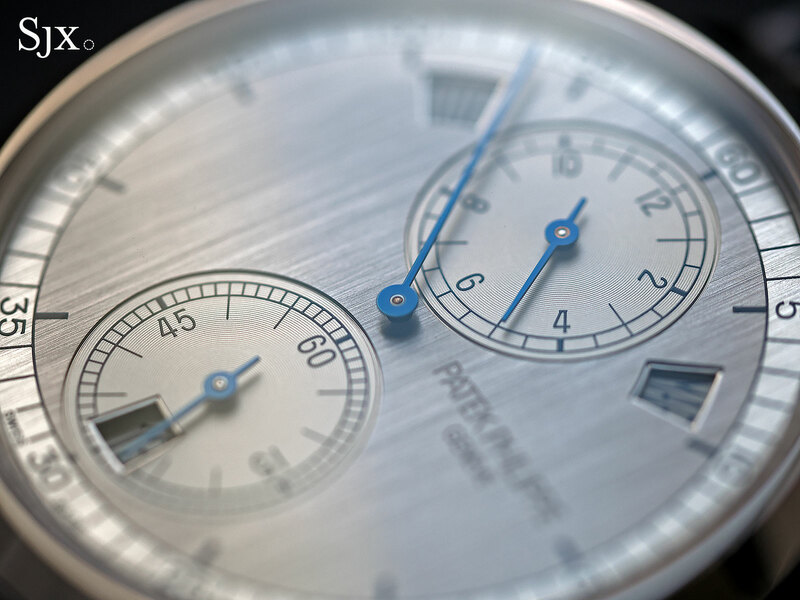 To start with the dial is finished with vertical brushing in three-tones: bright white on the outermost minute track, a dark grey in the centre, and white on the recessed sub-dials which are decorated with concentric azurage guilloche. The different colour treatment and brushed surface gives the dial one of its most charming qualities, a changing appearance depending on the light. 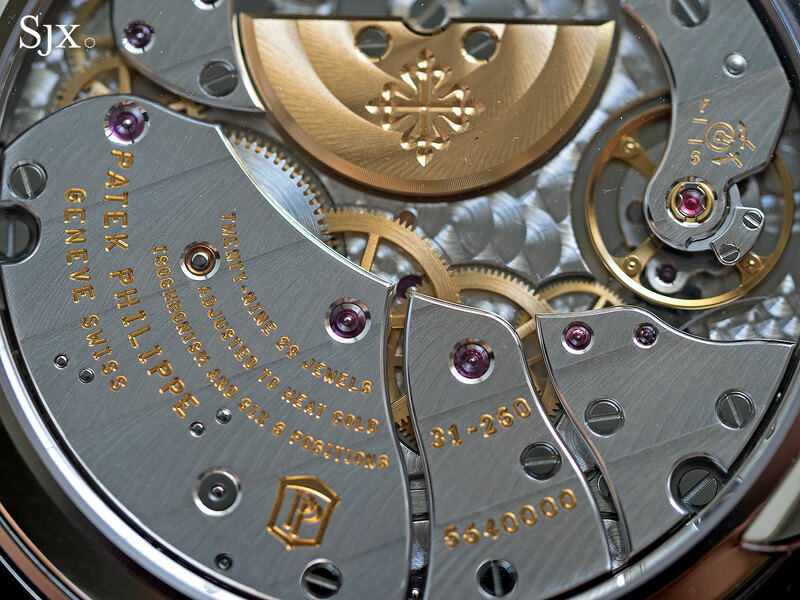 The Patek Philippe logo at three is also novel, being engraved fairly deeply, but left unfilled with lacquer – a feature found on no other model. 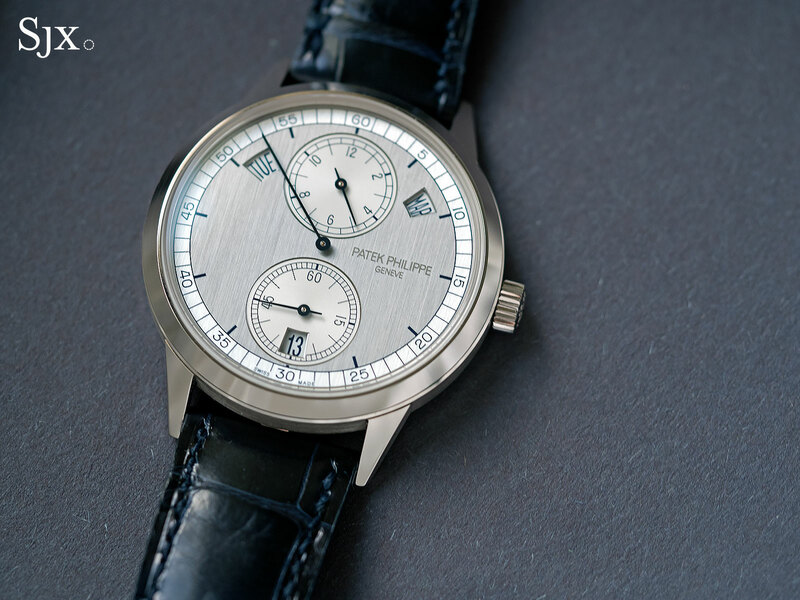 Though the logo is fairly, maybe overly, large – a characteristic of nearly all modern Patek Philippe watches – it is not obvious. At certain angles, in fact, the logo fades into the brushed surface. 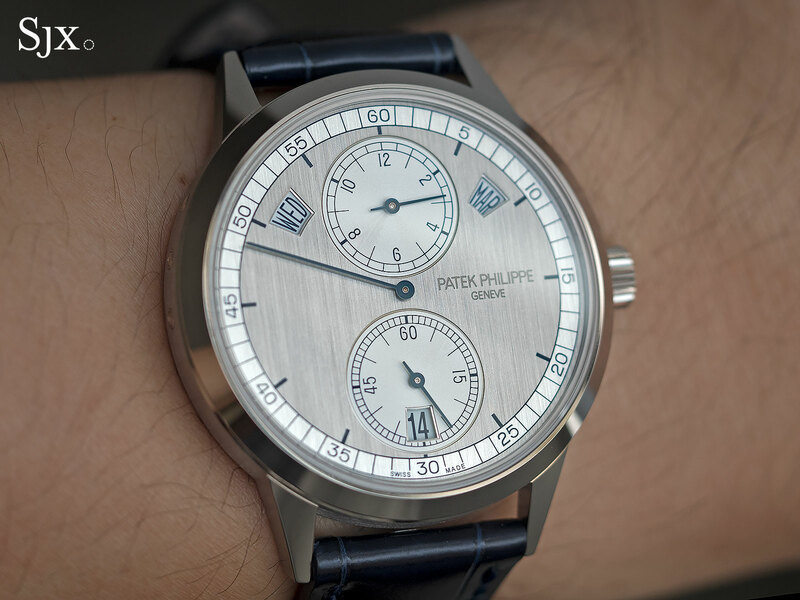 Narrow and linear, the hands are blued to match the markings on the dial, and are perhaps the only weakness on the front. While they are exceptionally easy to read, the flatness and form of the hands feel insufficient for a watch of this price. Clearly the creation of a designer with an eye for vintage Patek Philippe, the case is unusual and beautiful in equal measure. The lugs are angular, with unforgiving straight lines, immediately reminiscent of the valuable and rare vintage perpetual calendar refs. 3448 and 3450. The ref. 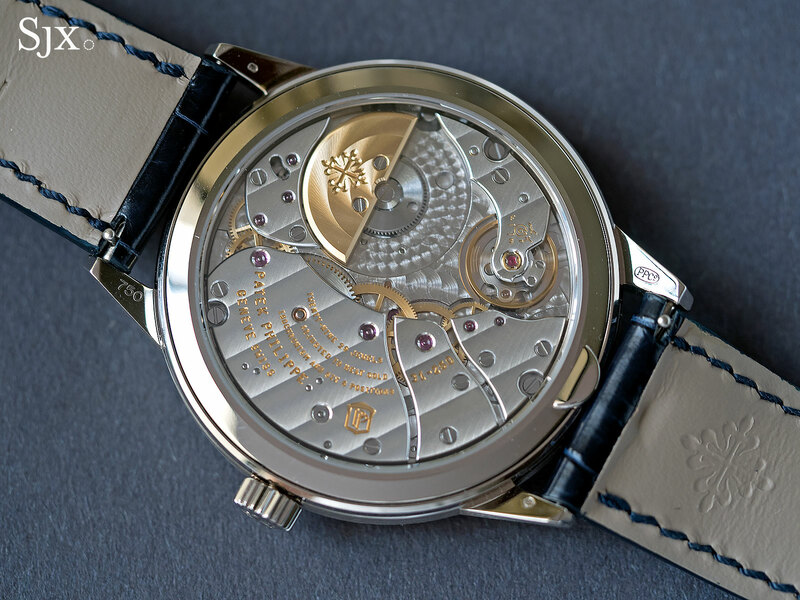 5235G is the only model with a case in this style, and it has a unique buckle to match. 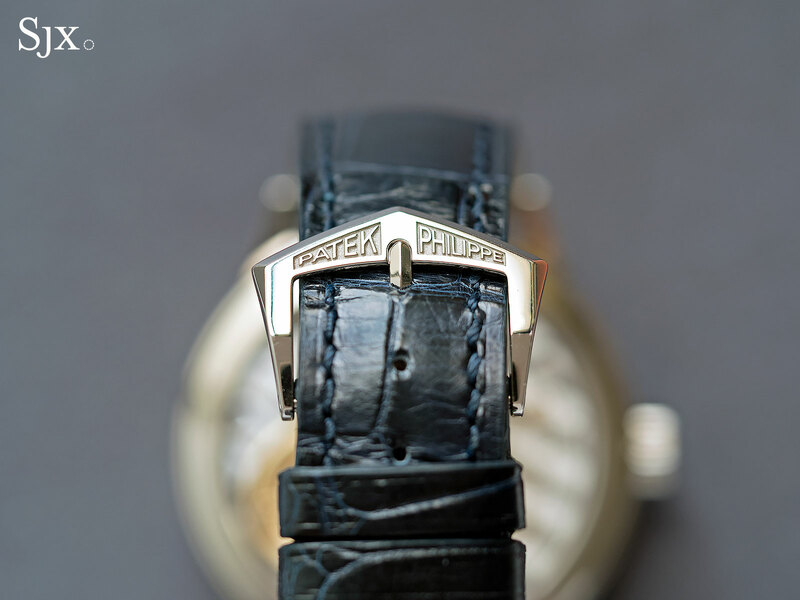 Cast with the Patek Philippe logo rendered in vaguely Art Deco style, the pin buckle is only found on this model. 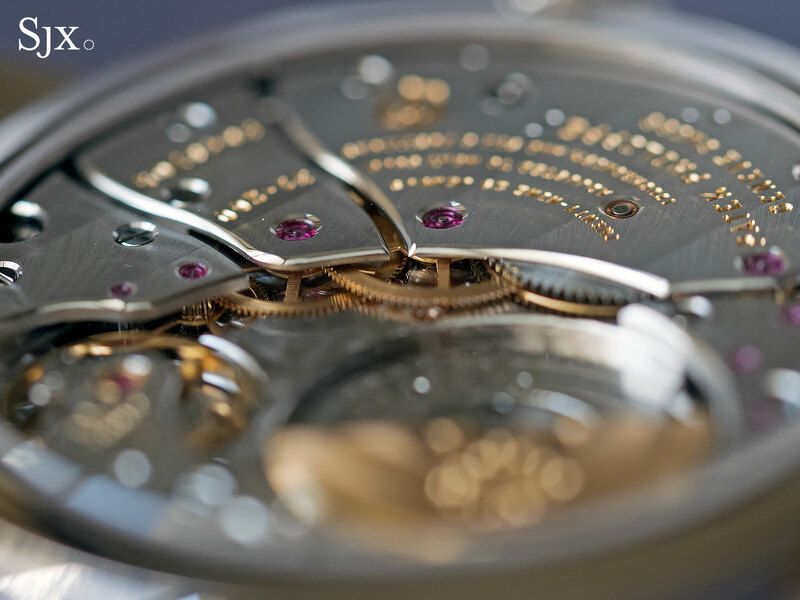 All of the straight lines and edges of the case also mean that the surface finishing is neat and precise, with brushing on the flanks and mirror polish on the top. While attractive, the mirror polish is a weakness; it’s prone to pick up fine scratches. The width and flatness of the bezel also makes it liable to scuffs, with the sharp edges on the bezel top and base being easily nicked. At 40.5mm the case isn’t large, though it feels so, likely due to its narrow bezel and slimness, as well as the light colours of the dial. The case size, however, is entirely appropriate and justifiable, because the cal. 31-260 inside is 33mm in diameter, filling the case nicely. The cal. 31-260 is the most substantially unique feature of the ref. 5235G. The movement, in any form or variant, is only found in the ref. 5235G. 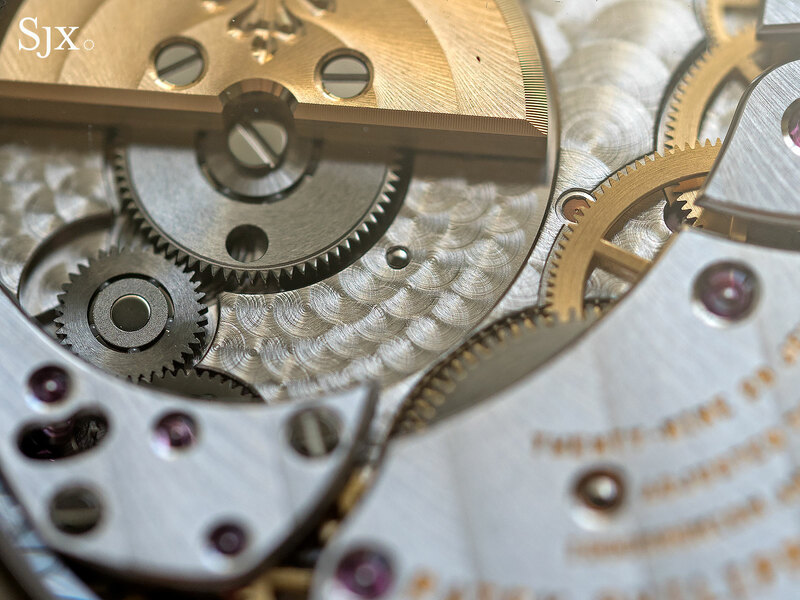 The calibre is still the only serially produced Patek Philippe movement with both a silicon escapement (Pulsomax) and hairspring (Spiromax). 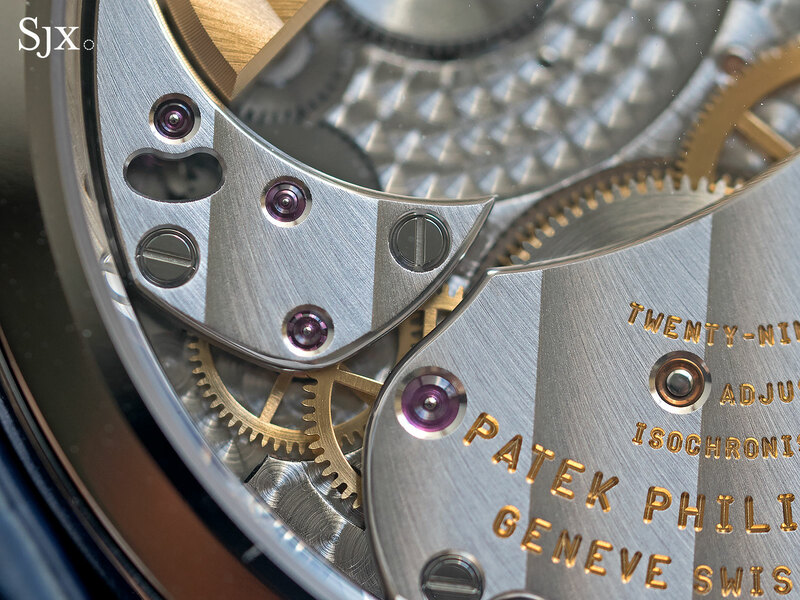 In contrast, Patek Philippe’s other automatic calibre with micro-rotor, the cal. 240, is produced in seven variants and found in almost thirty models. In all likelihood, the reasons for the modest utilisation of the movement are the production issues that plagued the ref. 5235G. But that doesn’t take away from the fact that the cal. 31-260 is a good looking construction, more appealing than the cal. 240. The bridges are elegantly shaped, with a lyrical flow in their arrangement from the balance wheel to barrel. The pointed tips of each of the bridges are also a pleasing touch, a departure from the soft outlines that characterise most modern Patek Philippe movements. 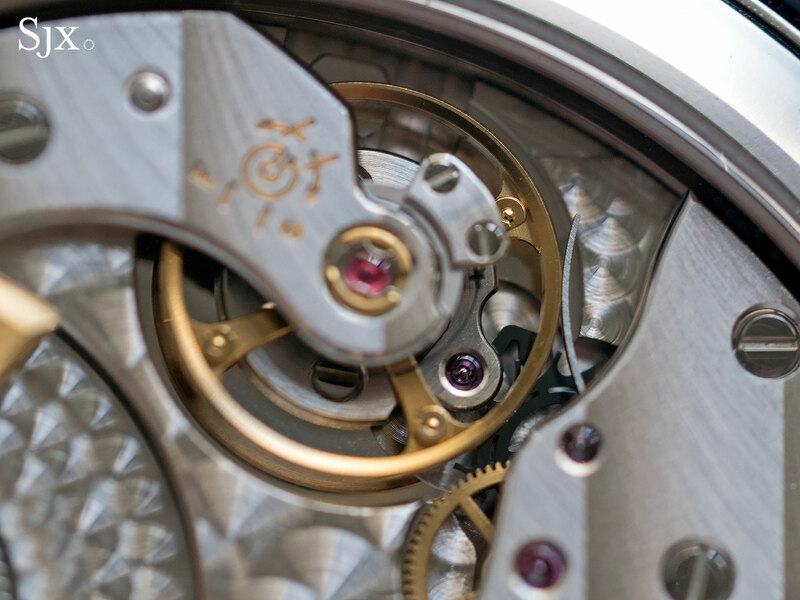 Intriguingly, the finishing of the movement appears finer than on comparably priced Patek Philippe watches. The bevelled bridges of the bridges, for instance, are smoothly polished, without the milling marks sometimes evident on other calibres (though they are still visible on the edges of the rotor here). The ref. 5235G is not without its flaws. The calendar mechanism is essentially the same as that found in other annual calendar models. While not doubt finely, and thinly, constructed, the user interface is low-tech. Three pushers on the side of the case set each of the calendar indications, which means each has to be set one after the other. Another inconvenience is that fact that there isn’t a single pusher that advances all the calendar indications simultaneously. And then there’s the snap back, which is probably the favourite case type of the constructors at Patek Philippe. 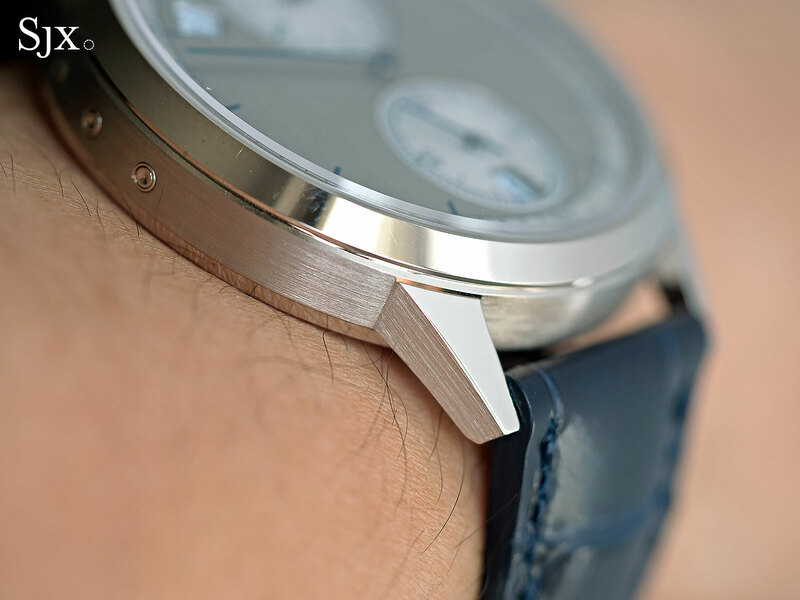 While a snap back allows for relatively slim watches, a screw-down or screwed back feels a bit more appropriate. 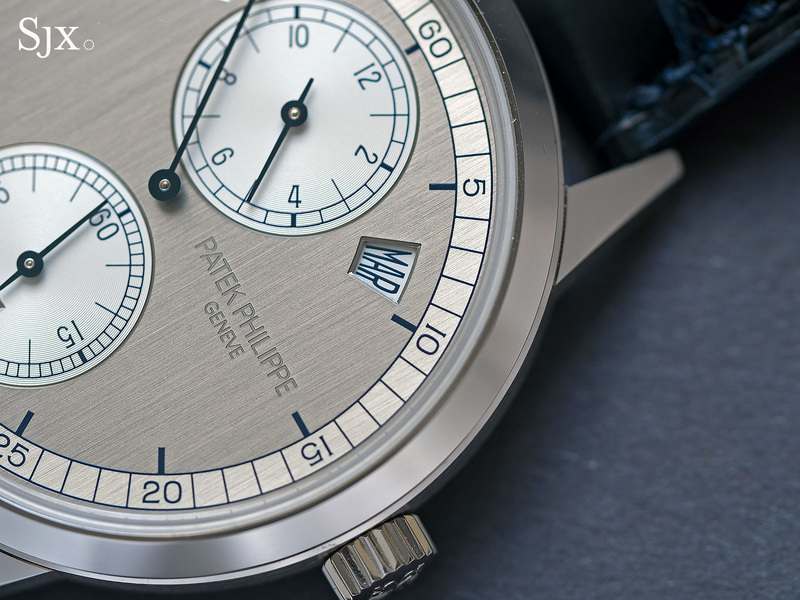 As far as a Patek Philippe watch can be good value for money, the ref. 5235G is probably it. In terms of intrinsic qualities – construction, finishing and movement – it does very well, and does it for essentially the same retail price as a run of the mill annual calendar. The ref. 5235G retails for US$49,900 or S$65,700. Addition April 28, 2018: Including the fact that the calendar windows are asymmetric as the the result of the calendar mechanism.